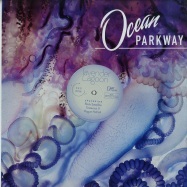 ocean parkway, the new sublabel from brooklyn s names you can trust, launches with a deep dive! drawing inspiration from sounds as varied as tortoise and trentmÃ¸ller, lavender lagoon eschews traditional genre cliches, blending sampled drums and synth patches to paint an electronic collage inspired by the lush, organic flow of nature. the a-side presents an optimistic tryptic: a boy hunting for butterflies, dogs swimming in suburban pools, and the smell of spring rain. but flip it over to side b and a darker realm is revealed â&#128,&#148, one in which the cold physics of outerspace reign supreme, and the heavy computerized rhythms take control.